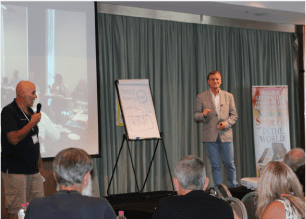 Grab your opportunity to see JD “live” on stage, demonstrating how you can easily attract an avalanche of new clients by adopting his “wow direct-response” formula! Attending one of his events could be the game-changer you’ve been waiting for! 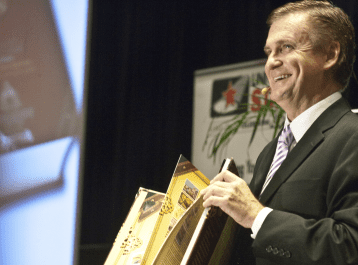 John is in high demand to speak at conferences & events around Australia & overseas. 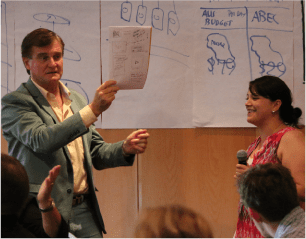 At “multi-speaker” events, he constantly gets voted as “the most engaging presenter” – because his “content & cheeky delivery” keeps everyone on the edge of their seats! His “marketing wizardry” is legendary & his “witty style” makes his presentations VERY MEMORABLE. The term “marketing maverick” is often used to describe JD. And it’s no wonder as his ability to provide rapid-fire marketing solutions to client’s sales challenges is legendary. 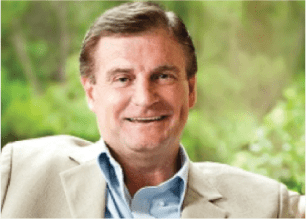 Whether you are part of a Mastermind session with him (ie: A dozen people around a boardroom table) or a one on one Skype call, his ability to instantly provide a smorgasbord of possible marketing solutions to one’s sales problem is unparalleled. In short, he has no equal. And having a unique combination of marketing skills sets him apart from any marketing guru on the planet. JD doesn’t just provide Wow Factor Marketing solutions to his clients’ problems, he also supports his ideas with quick sketches of website pages and other collateral – and additionally throws in the killer headlines, copy and recommended media schedule! Yep, he’s a one-stop-shop with extraordinarily creative and strategic talents. 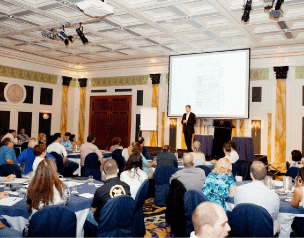 And when he hits the road to provide his “Wow Factor Presentations,” attendees are always exposed to rich content that they can take back to their business and implement immediately. You see, JD doesn’t just provide motherhood statements and marketing philosophies. 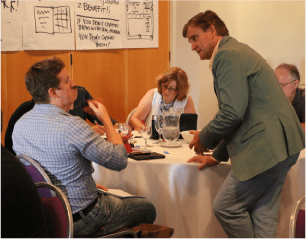 When you see him in action, you get turbo-charged ideas by the dozen, together with case studies how such marketing wizardry works. 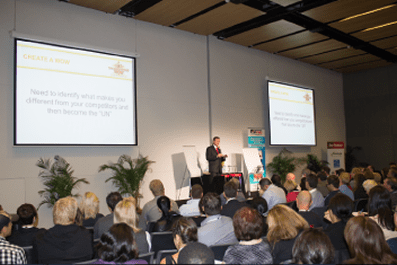 If you have a convention or seminar for your business or your industry and you’re looking for a presentation that will stimulate your sales team or industry members, JD is the solution that you are looking for! 1 Day CLIENT ATTRACTION EVENT! An extraordinary opportunity to spend 1 exhilarating day with JD, learning the finer details of this Client Attraction Marketing System! It’s your chance to get upfront and personal with JD so you can fast-track the sophistication of your marketing! 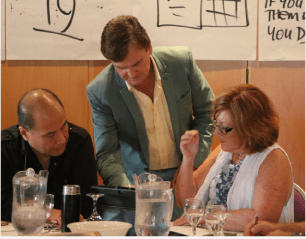 Imagine the value of spending a full day with one of the world’s cleverest “marketing gurus” – you’ll be returning to your workplace with “proven client attraction” concepts! And these are ideas & formulas you can implement straight away to stimulate SALES for your business! 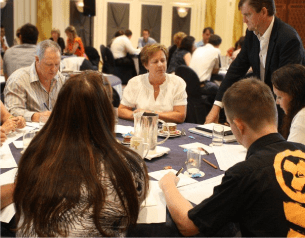 This Client Attraction Seminar is a unique marketing training event where you’ll have the opportunity to liaise with JD on a personal basis, gaining his perspective and advice on the marketing of your products and services. WATCH THIS SHORT VIDEO BELOW TO GAIN AN INSIGHT INTO JD’S PRESENTATIONS. Make sure you watch the last 60 seconds as JD gets a little help from Jennifer Lopez in “hyping up” the audience of business owners! 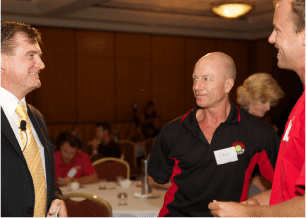 GOLD COAST SEMINAR A WOW SUCCESS! 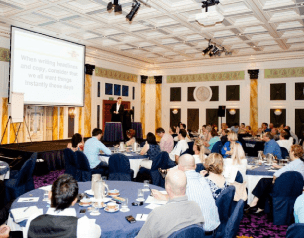 JD’s recent Gold Coast Wow Seminar was a great success – all attendees agreed that it was an ideas-fest extraordinaire! JD included “workshop sessions” in this event, giving attendees the opportunity to work in groups and create web pages, press advertisements and radio scripts. 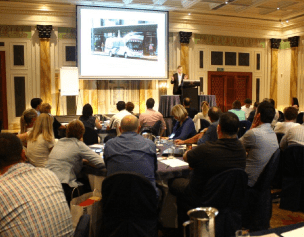 After providing a tutorial on stage on how to put together such marketing communications, JD gave his attendees the opportunity to put their creative hats on and devise a marketing campaign for 3 chosen businesses in the room. 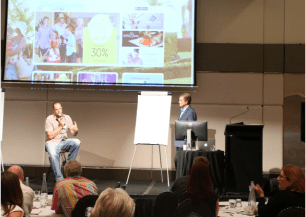 This was classic stuff, with spectacular results and showing that these members were learning invaluable marketing tips from being at the seminar! Each table chose a spokesperson to present their campaign and the strategic thinking and creativity from each team simply blew everyone away! This just goes to show the value of being involved in such an entrepreneurial ideas environment! 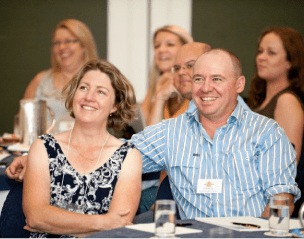 Check out the photos below – the room was certainly full of “Wow”! 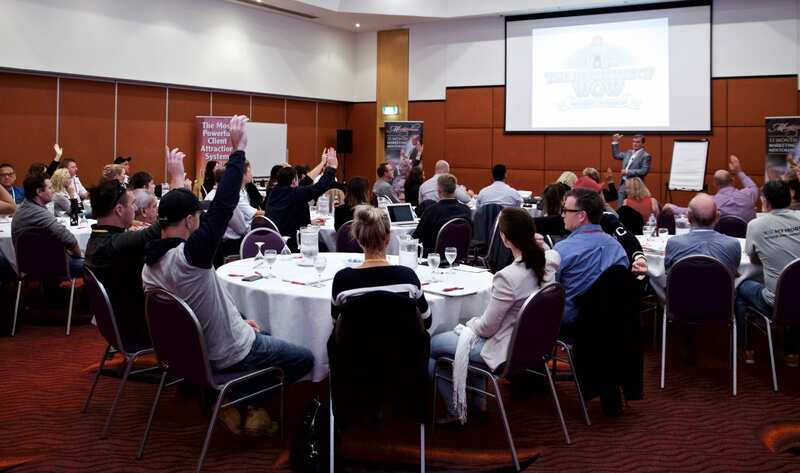 It’s a sales stimulating ideas-fest that you wouldn’t want to miss. 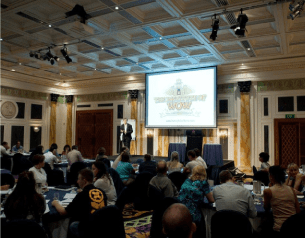 Have a look at the videos below to get an idea of how vibrant his wow seminars are.